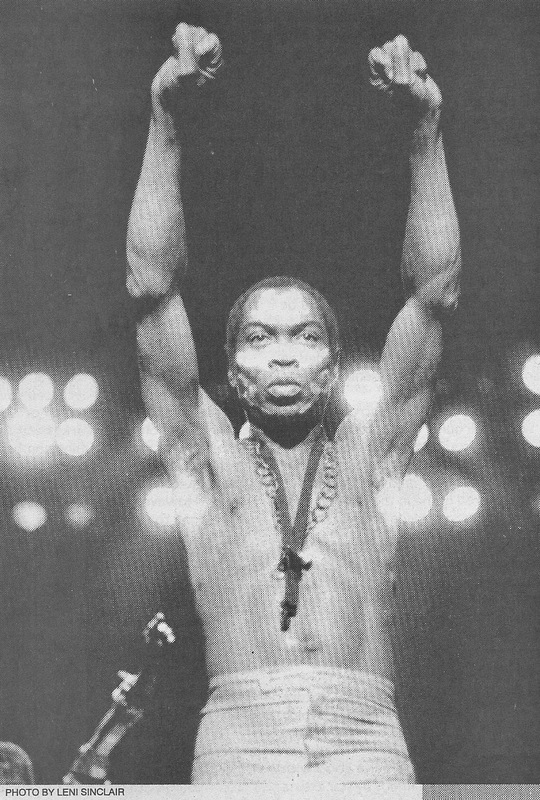 Aug. 2 marks the day Fela Anikulapo-Kuti died in 1997, at the age of 58. 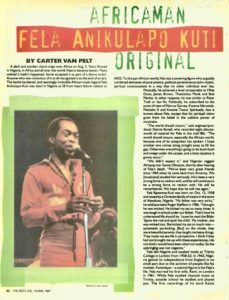 An African colossus, the controversial and always outspoken Nigerian musician/bandleader of Egypt 80, shook the earth with his music and messages, and in the past 20 years, his legend has continued to grow in scope second only to that of Bob Marley. His two sons, Seun and Femi Kuti, carry on his legacy, dozens of Afrobeat bands have sprung up in his wake, films made, a Broadway musical produced. 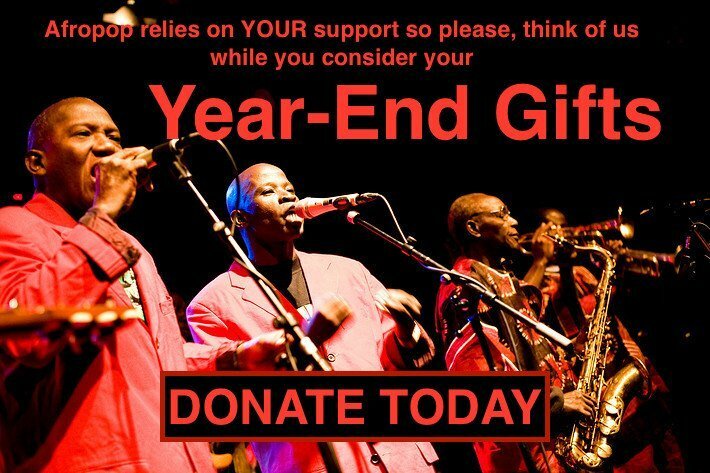 Fela was one of a kind and continues to be bigger than life. 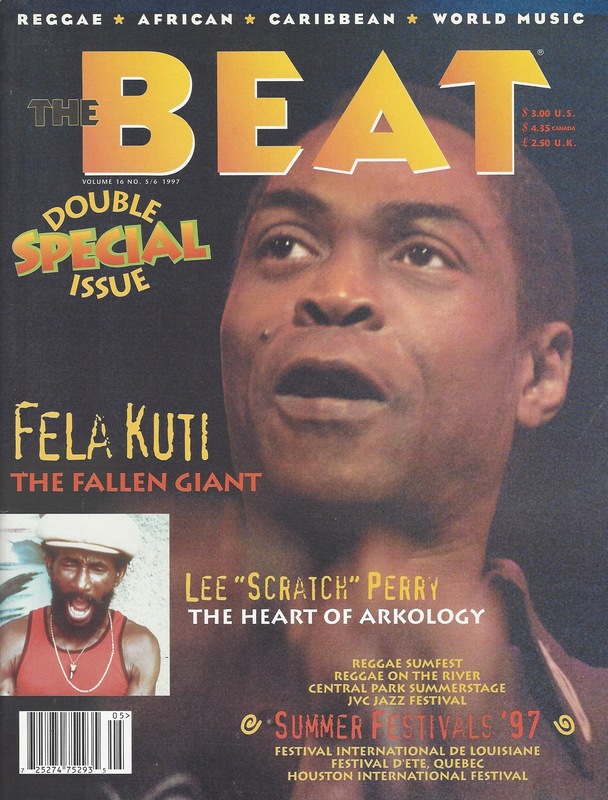 The Beat paid tribute to Fela with a comprehensive cover story written by frequent Beat contributor Carter Van Pelt. The feature also includes a sidebar compiled by “African Beat” columnist Robert Ambrose titled “The Fallen Giant: Personal Reminiscences of Fela Kuti.” Seven Beat writers—Dave Hucker, Bob Tarte, Ron Sakolsky, Steve Heilig, Andy Frankel, Roger Steffens, Robert Ambrose; photographer Leni Sinclair, and an eloquent tribute by actor Adewale Akkinuoye-Agbaje—recall the impact Fela’s music and outsize personality had on their lives. 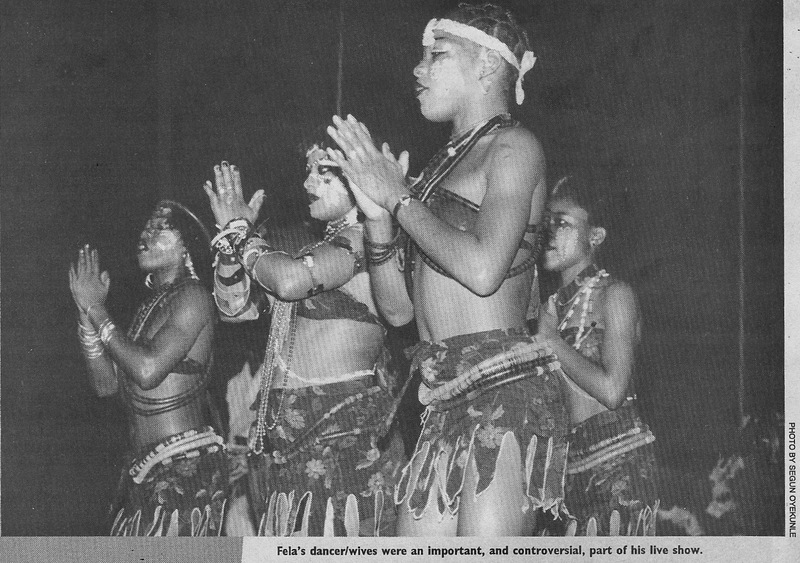 The Beat’s founding editor Roger Steffens provides the eulogy with his last line: “When God made brave Fela, the mold was broken, and we shall never again see his like.” Fela lives!